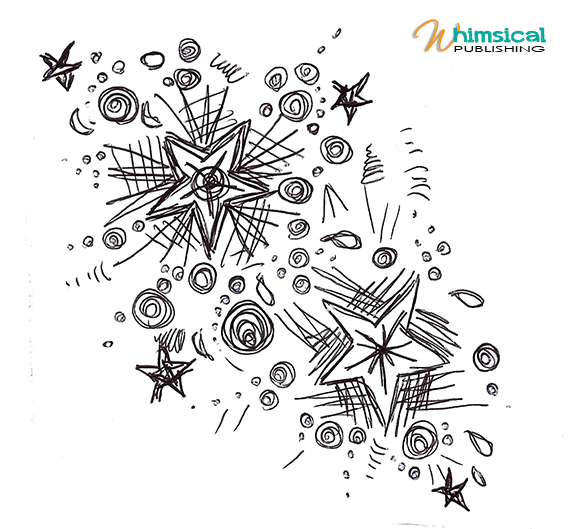 Did you ever get in trouble for doodling on your school work when you were a kid? I certainly did! The funny thing is that no matter how many times I was reprimanded I couldn’t give it up. 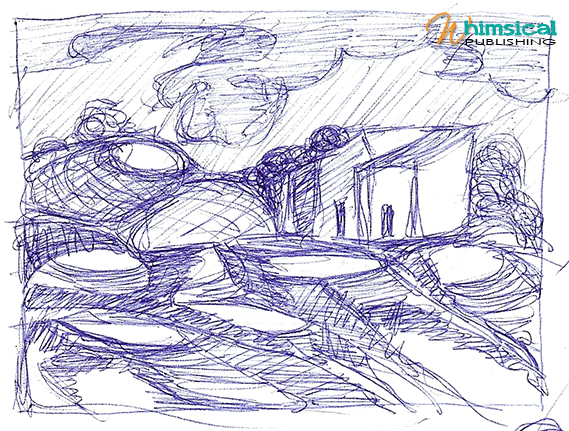 And today, I doodle just as much. 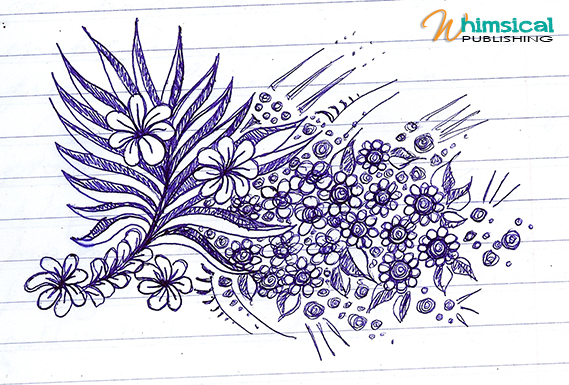 According to a study published in the scientific journal Applied Cognitive Psychology, doodling can aid a person’s memory by expending just enough energy to keep one from daydreaming, which demands a lot of the brain’s processing power, as well as from not paying attention. Thus, it acts as a mediator between the spectrum of thinking too much or thinking too little and helps focus on the current situation. 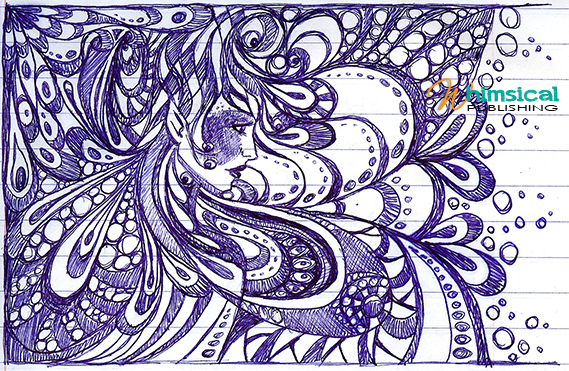 The study was done by Professor Jackie Andrade, of the School of Psychology at the University of Plymouth, who reported that doodlers in her experiment recalled 7.5 pieces of information (out of 16 total) on average, 29% more than the average of 5.8 recalled by the control group made of non-doodlers. (Thanks again Wikipedia!) 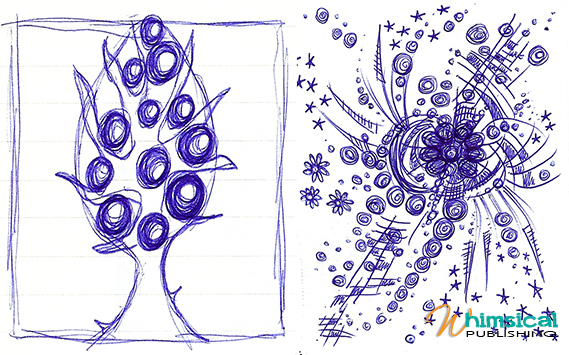 In light of those statistics I say > DOODLE ON!!! Months ago while driving into town Hunter piped up, “Mom, look at the back of that truck, there is a smiley face on it!” It was true, the shapes and parts of the truck ahead of us formed a huge smiling face. My son was so inspired by this discovery that he spent the rest of that day searching for smiley faces everywhere. I told him that we should start a photo collection of his finds but like many things in life it was soon forgotten… However, the day before yesterday his memory was sparked, “Mom! 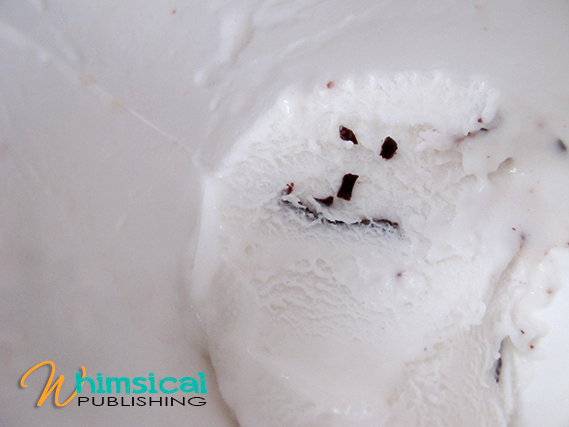 Quick, come here!” When I got to him he was smiling down into his container of ice cream, “Remember when we found all those random smiley faces? Look at my ice cream!” This time I got a picture. So here begins our ‘Smiley Faces in Random Places’ photo collection. 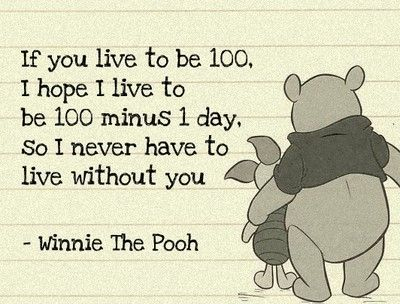 I do love classic Winnie the Pooh quotes (I’ve attached a few for you here) but I have to admit that I’m not the only one. My entire family and I tend to curse in ‘Pooh’. “Oh, bother!”, “Stuff and fluff!” and “Silly old Bear” are common phrases used in our house as a response to just about everything –stubbing one’s toe, messing up, or having a bad hair day. 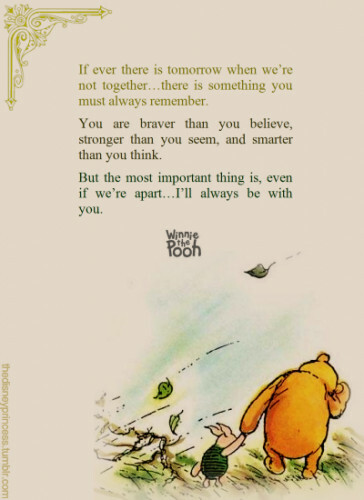 But I say “Tiddely Pom” and “Ha!” to anyone who doesn’t understand the power of Pooh in life’s critical moments! Perhaps there’s a better way of expressing oneself but –as Pooh has said himself, “perhaps there isn’t”. And really, I think Pooh would approve of my family’s unorthodox expletives. 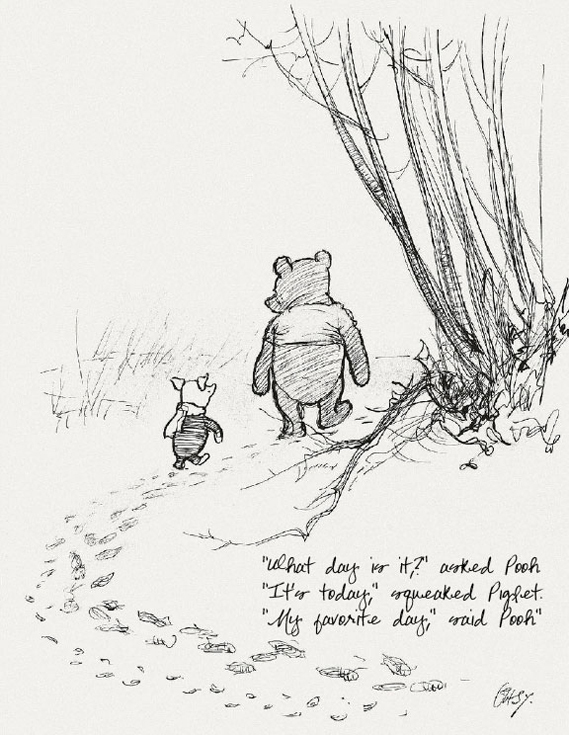 After all, it was Pooh who pointed out that “It is more fun to talk with someone who doesn’t use long, difficult words but rather short, easy words like “What about lunch?” (or oh bother, stuff and fluff, tiddely pom and ha! ).